Washington Will Retain Sanctions Until Russia Returns Crimea. John Kerry Says « We Will Not Accept Redrawing Borders ». “We will not accept the redrawing of borders by force in the 21st century. Sanctions related to Crimea will remain in place as long as the occupation continues. 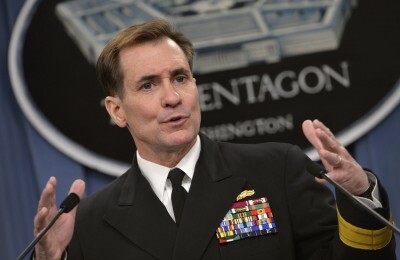 We again call on Russia to end that occupation and return Crimea to Ukraine,” John Kirby [left image] said in a statement Wednesday.